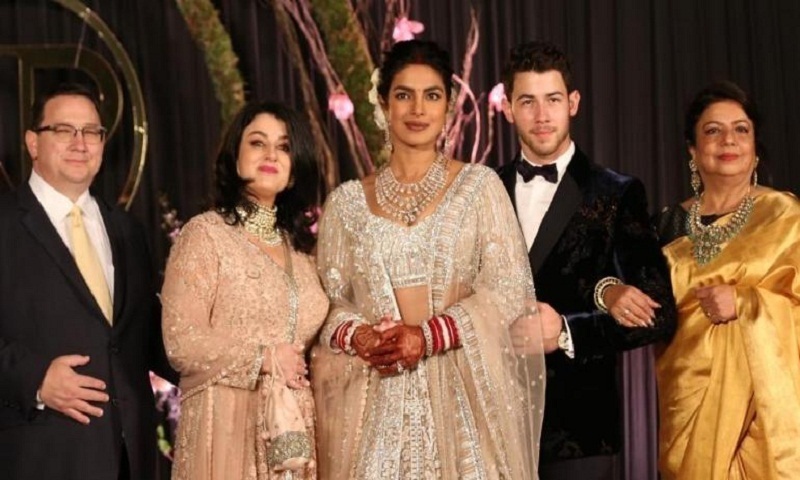 A new video has surfaced on social media which shows actor Priyanka Chopra’s parents-in-law talking about her wedding with their son Nick Jonas. Her mother-in-law Denise Jonas said the pictures don’t do justice to how grand the wedding was, report Hindustan Times. Priyanka and Nick got married on December 1 and 2 at Jodhpur’s Umaid Bhawan Palace hotel. She wore Ralph Lauren for her Christian wedding and picked a Sabyasachi creation for her Hindu wedding. The two stars have moved on with their work as well -- Priyanka’s Hollywood film, Isn’t It Romantic released earlier this year and the Jonas Brothers made a comeback with their new single, Sucker, which also featured Priyanka, Joe’s fiance Sophie Turner and Kevin’s wife Danielle in the music video.